Over on my personal blog I wrote a blog post about each part of the harness and how to properly adjust them. I thought I would share them here as well! We will start at the front of the horse, with the bridle. 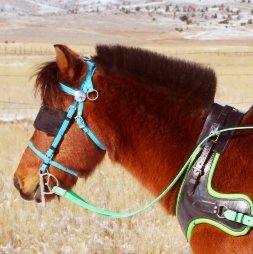 I often get questions about how to properly adjust the bridle, the blinders and how many “wrinkles” there should be at the corner of the mouth when adjusting the bit. 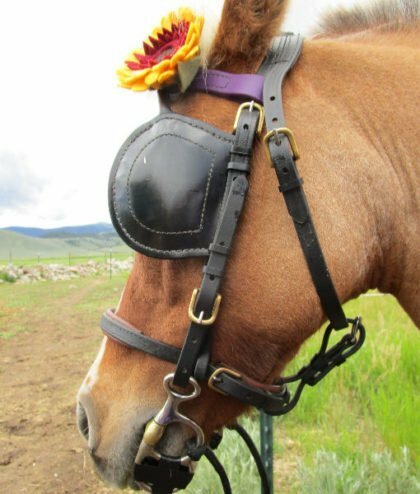 First of all the horse’s eye should be in the middle of the blinders to be considered correctly adjusted. 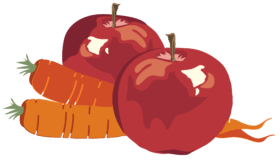 There are a few things that will help you with this. 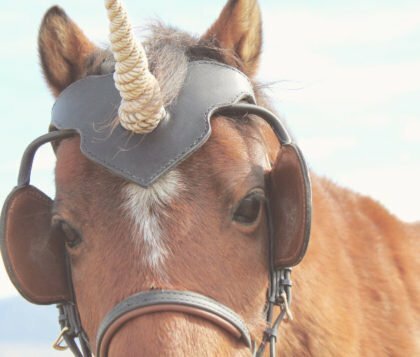 One is being sure the browband is long enough. 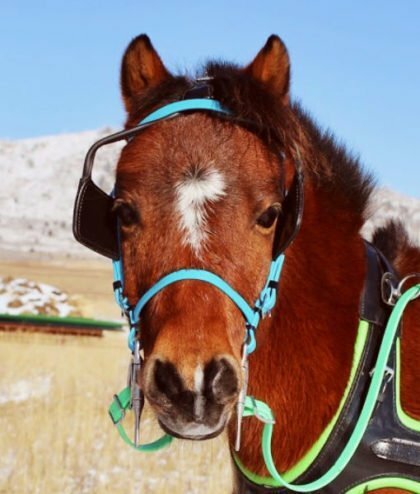 If the browband is too short and tight then it will pull the cheek pieces forward on the horse’s face can make adjusting the blinders more difficult. 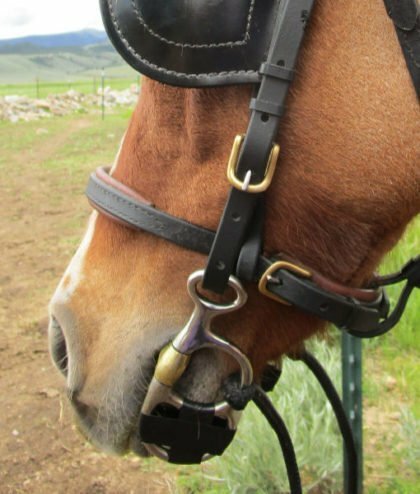 You can also adjust the buckle from the winkers to the poll strap between the horse’s ears. If you set this at the largest hole it will give you more room to adjust the winker stay wires. I prefer there to be NO wrinkles at the corner of the horse’s mouth. If the horse will not hold the bit or tries to put it’s tongue over it then I will adjust it to have one wrinkle. No wrinkle at the corner of her mouth. Buck Brannaman explained it best when he pointed out that when he lifts his reins he wants his horse to be responsive. 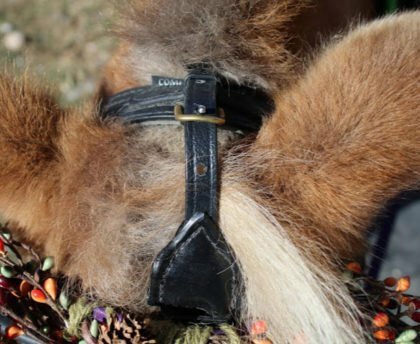 He showed that when you have a wrinkle or two or three this is also pressure on the horse’s mouth and will ultimately dull their responsiveness. It really does make sense that if you want a light, responsive horse then you must do all you can to keep the lines of communication open and clear. I like my bit to be about 1/2″ bigger than the horse’s mouth. This will allow 1/4″ on each side at the corner of the horse’s mouth. Space between the cheek piece and the corner of mouth. The nose band should not be tight. It is there to help keep the blinders in place but not to keep the horse’s mouth shut. I like to be able to put a finger between my horse’s face and the nose band. 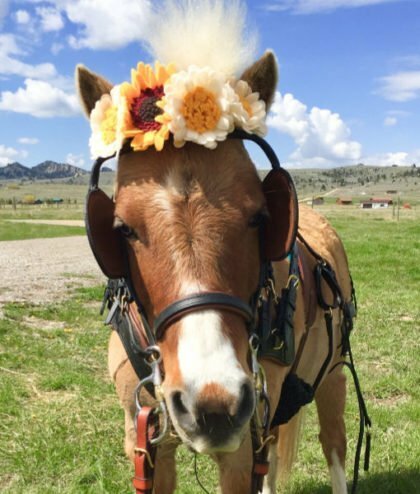 I want my nose band to hang at least one to two fingers below the nasal bone that runs down the sides of the horse’s nose. Two fingers below nasal bone and you can see the gullet strap in this photo. 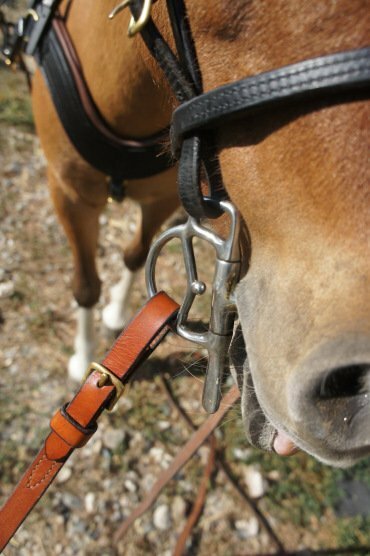 Another important part of the bridle is the gullet strap. This isn’t something that comes with the bridle but I highly recommend having one! My little pony, Mikey has such small ears that when he shakes his head his bridle can just pop right off without the gullet strap! Having a well fitting bridle is so important if everyone is going to enjoy driving together! Knowing that things are fitting properly is peace of mind.